Ichiro and "A.L." Kaline serve as the junior circuit's only 10-time outfield Gold Glove winners. They both split time between CF and RF, where the "real" glove men play. (Barry Bonds remains the top winner in left, with 8.) Suzuki seems likely to break this record, but can't hope to match Al's career slugging numbers. 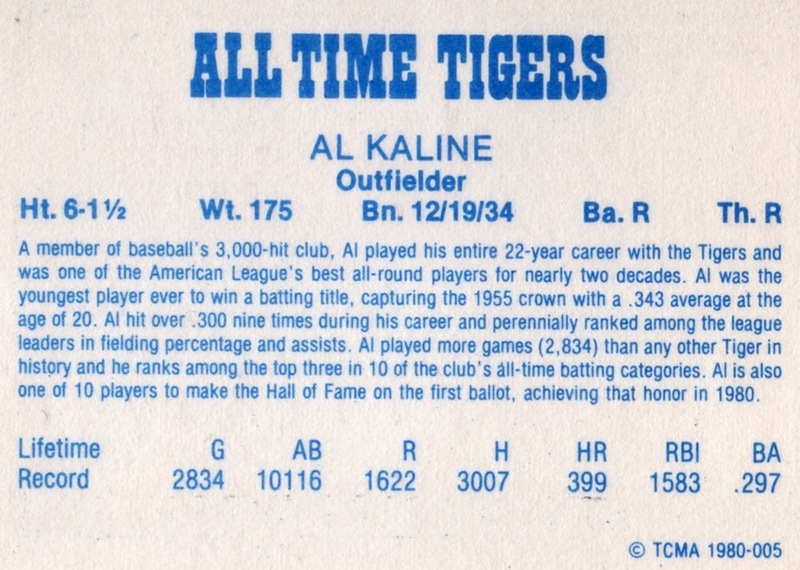 Note than Kaline played prior to the award's creation and won its only combined ML award (1957), so could've had more. Hard to say who would've taken it back in the 30s and 40s. Any opinions? 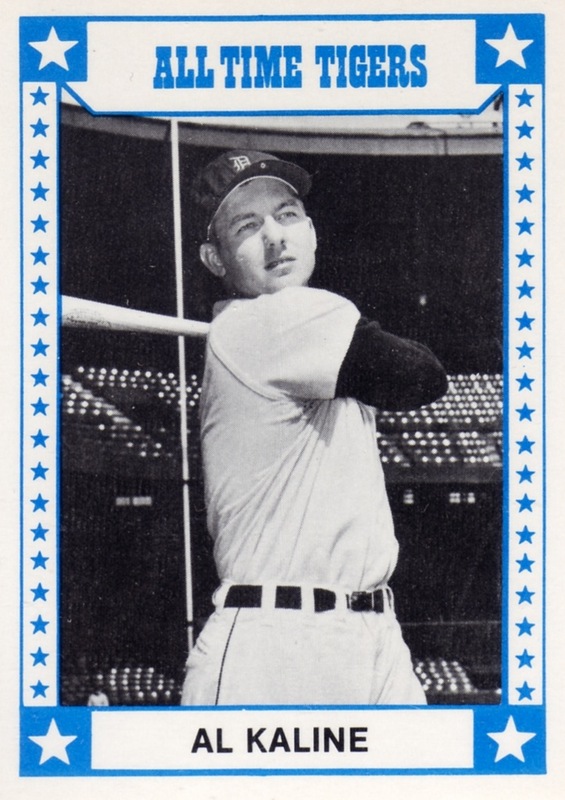 As with other TCMA All-Time sets, the Tigers get a manager, 3 pitchers, and 8 position players for 12 total. Here's the full checklist. Value: Didn't find many of the cards at CheckOutMyCards.com, but what they had is under $1. 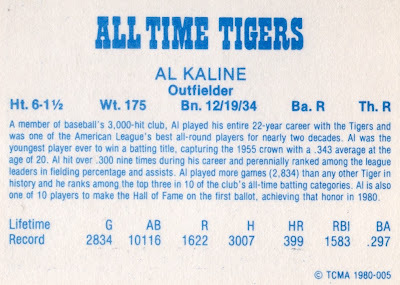 Kaline and the other HOFers might cost a few dollars. I have this set in excellent condition. Where could I sell it? Roger, eBay is your best bet, with Amazon a possible option. The caveat is that cards this recent (and as collectible cards go, 1980 is "recent"), a full set sells for $5-10 and might take patience before you find a buyer. Hope that helps to know.